"Hiring Tom and his band was effortless from start to finish...we can't believe how lucky we got." 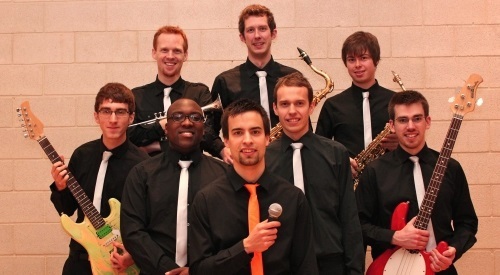 Ideal for a dinner, drinks reception or elegant party, our small jazz groups will add a touch of pure class to your event. 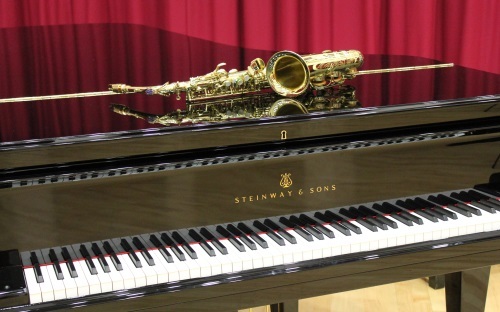 Featuring 1-4 musicians and a relaxed jazz and swing repertoire. Get a quote for your favourite or for the full range. 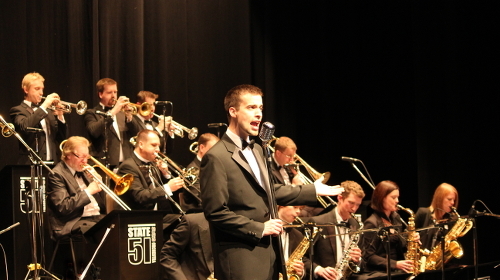 To give your event the 'full works', the iconic 18-piece Swing Orchestra of Frank Sinatra & co. is simply unbeatable. Step back in time to the days when the sound of smooth vocals over a swingin' Big Band was the very definition of cool. Get a quote using our enquiry form below. Recreating the sounds of artists from the swingin' 60s, through classic 70s soul, the very best of the 80s & 90s, right up to the top-selling artists of today, The Groovitive is designed to get your guests up and dancing! The Groovitive to get the party started later on! You're dealing directly with the musicians - no agents, no extra fees. Years of experience - after countless events over many years, you're getting a well-established product. Package discounts - choose multiple groups for a larger event and save money. Enjoyment - We really and truly enjoy what we do, and clients say this means they end up happy too! "Thank you so much for adding the extra dimension to our dinner. What you played was absolutely perfect and I admire your talent enormously! We will certainly be in touch for a future occasion." "I am very grateful for your contribution to the success of my party. Your well chosen programme immediately relaxed everybody and put them in the party mood. I have no hesitation in recommending you to others seeking to create a memorable event." "We made exactly the right choice, thank you very much! You contributed wonderfully to a fantastic day - we will definitely remember you for future occasions."